The World`s Smartest Return Pump - The M1 is the perfect centrifugal pump for return or closed loop applications up to 2000 GPH. The AC pump purchased must often be over-powered for your given setup to allow for flexibility. By adding artificial impedance to your flow, electricity is wasted. 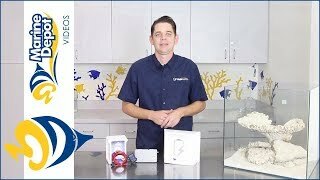 Active Feedback - When used with the ReefLink, your Vectra pump can send you performance and status alerts right to your mobile device or computer. 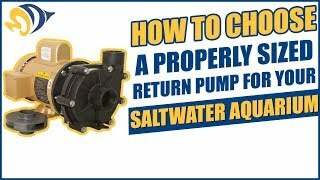 Your return pump is the heart of your aquarium; the faster you hear about an unexpected issue the more successful you will be as an aquarist. Dimensions: 6.25" x 4.25" x 5.375"
Love this pump. Worth every penny. Quiet and strong. I have the pump at it lowest setting for my 150g and 30g tank. Does the job. Really quiet. Push more flow than said. Love this pump. Using as my return pump for my Redsea Reefer 250. Enough power to push water from my Eshoppe sump, refugium, chiller, and 2 reactors. Really quite and very impressed with the power. After one week in the water its so far so good, its quiet, reliable and so far very happy with it! 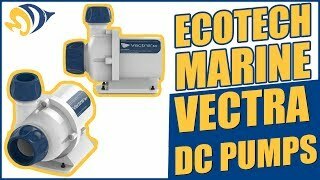 For those wanting a true union for the discharge outlet to aquarium i have found out that the Reef Octopus unions fit the Vectra M1’s! Its a 25MM thread so one could buy a replacement union mado for the VarioS 6 and it will fit, this union is a 1-1/4 but you can buy a reducer for smaller pipe!